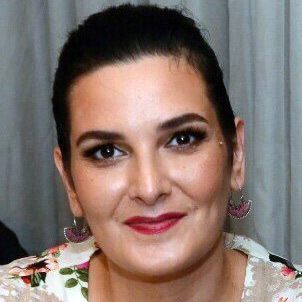 She has a Bachelor Degree in Albanian Language and Literature from the Ukshin Hoti University of Prizren, and currently she is continuing her postgraduate studies at the University of Pristina’s Albanian Language Department. The great desire to work in the field of media has pushed her towards registering to study Mass Communication and Journalism at AAB College. 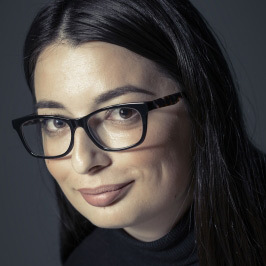 Prior to joining the BIRN Kosovo team, she worked at the information portal named Gazeta Observer for eight months. 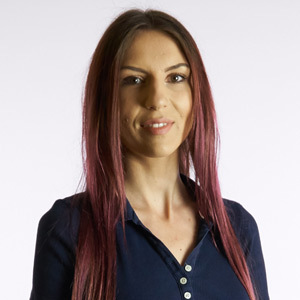 Donika joined the team of BIRN Kosova in December 2018 as a project officer and researcher. She completed her studies at the University of Pristina and now she is studying for a Master in Public Administration and Diplomacy at AAB College. Her main field of interest is politics. Since 2016, she had been working for the Youth Initiative for Human Rights as a Programme Coordinator, mainly engaged in transitional justice and democracy issues. 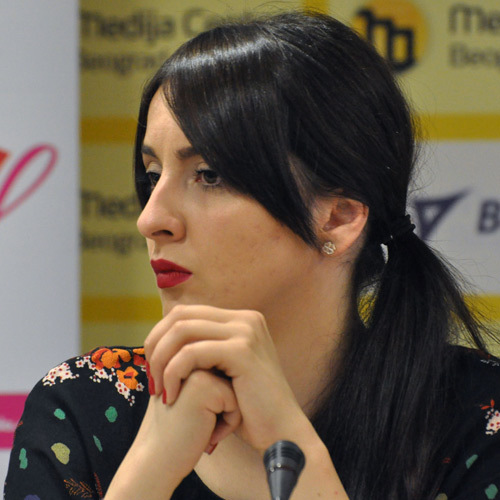 She was awarded the ‘Ledolomac’ human rights prize by the Liberal Democratic Party, Serbia, in 2018. Sofija has a BA from the Faculty of Law at the University of Belgrade. She has also attended a Peace and Conflict Summer Program 2017 organised by the Rochester Institute of Technology, Kosovo. Sofija speaks Serbian and English. 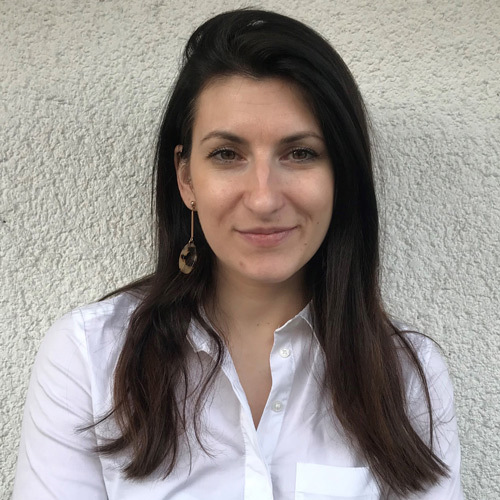 Before joining BIRN, Ivana was an investigative reporter/fact-checker at Center for Investigative Journalism of Serbia during a five-year period between 2012 and 2017 and was Deputy Editor-in-Chief at the same organisation between 2017 and 2018. For the last seven years, she has also been a fact-checker at the Organized Crime and Corruption Reporting Project. 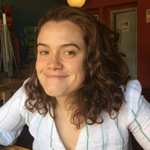 Additionally, she has been an External Assessor at the International Fact-checking Network since 2017. As a part of the Center for Investigative Journalism of Serbia team, Ivana is the European Press Prize 2017 laureate. She has also received Balkan Fact-checking Award 2017, which under the auspices of the International Fact-Checking Network, was established with the aim to encourage citizens and journalists in Serbia, Bosnia and Herzegovina and Croatia to focus on the articles based on fact-checking. Ivana has been fellow of BIRN’s 2018 Balkan Fellowship for Journalistic Excellence. Ivana graduated from the Faculty of Political Sciences in Belgrade. She speaks Serbian, English, and Spanish. He is a former Reuters correspondent with two decades of experience in newspaper, news agency and online media. 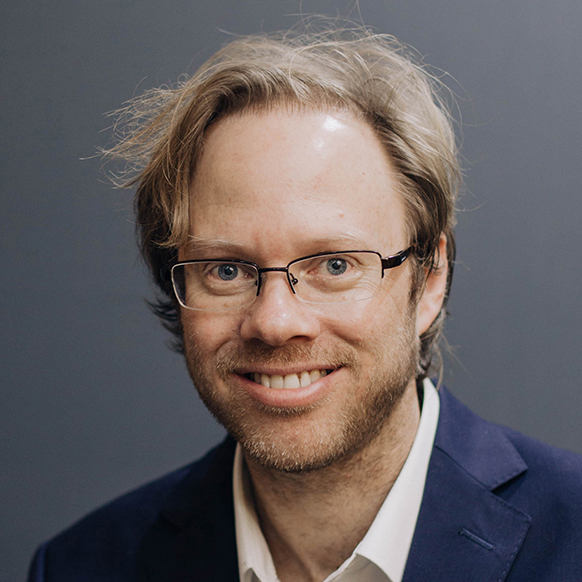 His previous roles include Director of Journalism and Media Programmes at the Thomson Reuters Foundation, the philanthropic arm of Reuters News, where he drove initiatives to raise journalistic standards worldwide and help independent media flourish. These included independent news agencies in Egypt, Zimbabwe and Myanmar; “Wealth of Nations”, a pan-African project to support investigative journalism on illicit money flows; and “Perspektivy”, a professional programme for Russian-language media. He also ran global training and mentoring projects to encourage collaborative, cross-border journalism on topics ranging from global security and trafficking to women’s rights, health and sustainable development. Before that, he was Editor-in-Chief of Reuters philanthropic news services covering humanitarian issues, human rights, modern slavery and trafficking, corruption and climate change. As Editor of Reuters AlertNet, he was in charge of the world’s leading humanitarian news services and built a global team of journalists dedicated to covering stories neglected by mainstream media. He negotiated and led the first trip by a major news agency into North Korea for exclusive reportage on famine and created an Emergency Information Service to provide life-saving information for disaster-hit communities in local languages, which deployed in Haiti right after the 2010 earthquake. Before that, he was a Reuters correspondent in Tokyo, a feature writer for a major Japanese daily newspaper and news editor of a popular science magazine in London. Before BIRN, she worked for the digital agency Homepage as a digital accountant; Pristop, consulting and communications company, as a PR assistant; and the news portal Portal Mladi as a deputy editor. From the University of Belgrade, Department of Political Sciences she has a BA in journalism and an MA in international politics. Aleksandra speaks Serbian, English, and German. She also writes for Belgrade Insight. Previously, she worked as a Research Assistant and Student Ambassador during her studies at Skidmore College in upstate New York. She graduated with Honors in History and minored in English Literature. Alexis speaks English. Her position includes managing all entries into financial databases, preparing financial documentation and annual tax reports, maintaining inventory, submitting documentation to local authorities, managing bookings and travel related services. 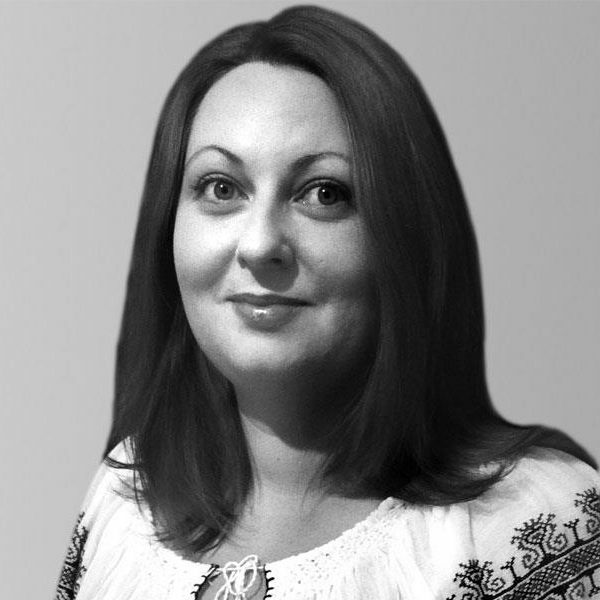 Before joining BIRN Hub, Dunja has worked in the NGO sector for almost 14 years as project coordinator, gaining strong professional skills in Office Administration, Finances and Operations and Logistics. She studied at the University in Sarajevo in the Department of English Language and Literature. She speaks Bosnian and English. She has worked as a journalist since 2000, has extensive experience in covering politics as well conflict zones in the Middle East and the Balkans. 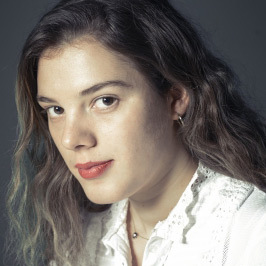 She was awarded second prize in the Austrian Press Agency’s “Writing for Central and Eastern Europe” in 2007 in Vienna, and won a special prize from the jury a for long social feature in Freedom House’s “Young Journalist of the year” competition in 2004, in Bucharest. 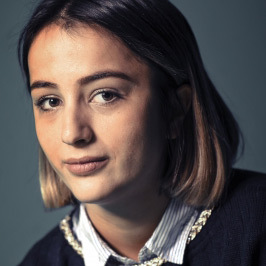 She has a BA in Journalism from the University of Bucharest and an Master’s Degree in International Affairs from the Lebanese American University, Byblos, where she specialised in sectarian conflict and Islamic radicalisation. Other than her native Romanian and English, she also speaks French, Spanish and Levantine Arabic.